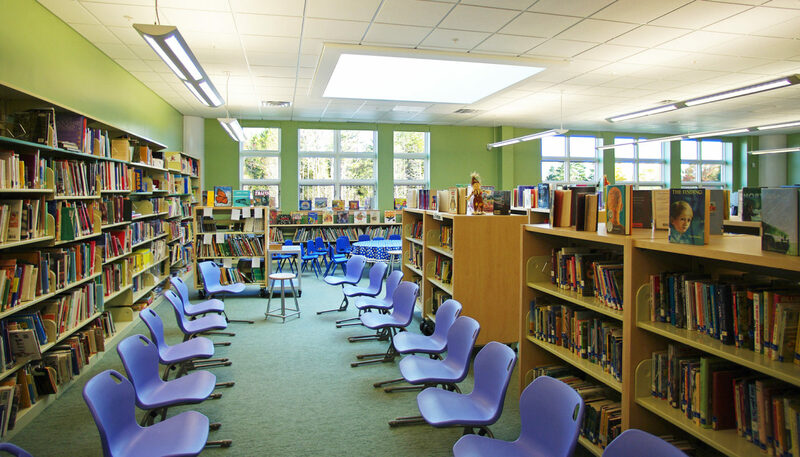 Peninsula School reflects the unspoiled beauty of the small coastal towns it serves. 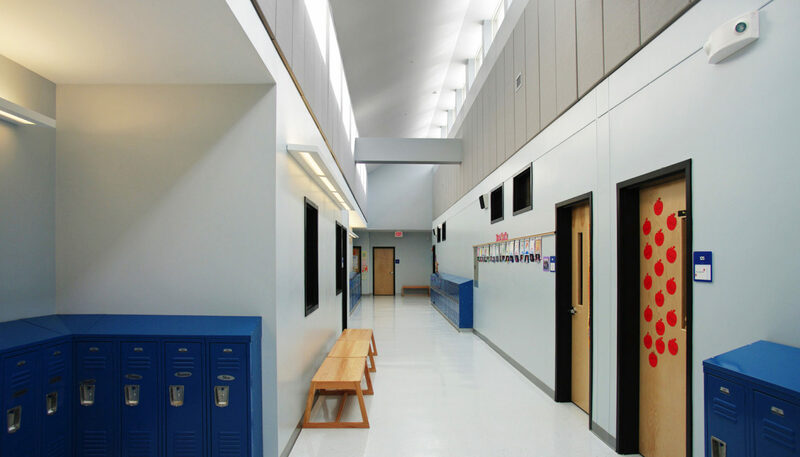 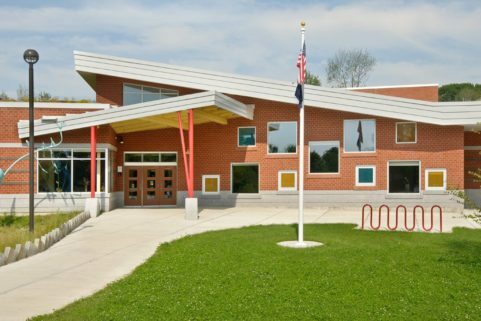 The 45,000 SF Pre-K through grade 8 school was designed in accordance with LEED principles and High Performance School Standards. 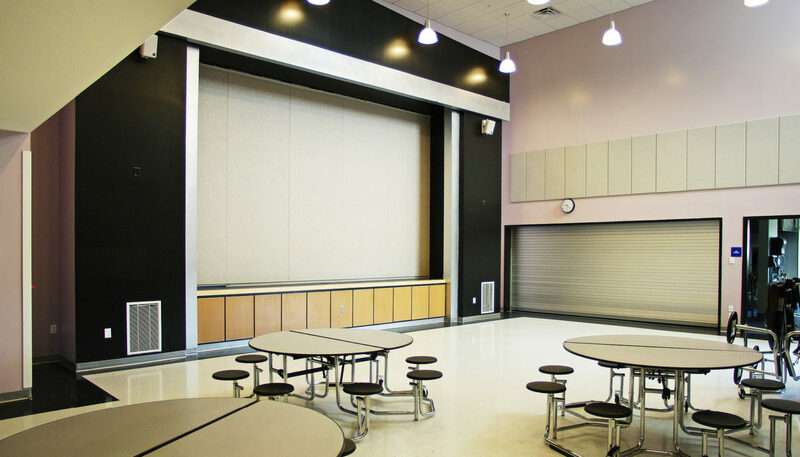 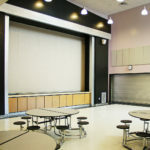 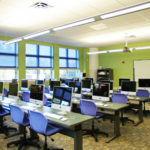 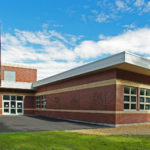 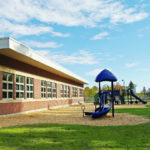 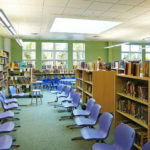 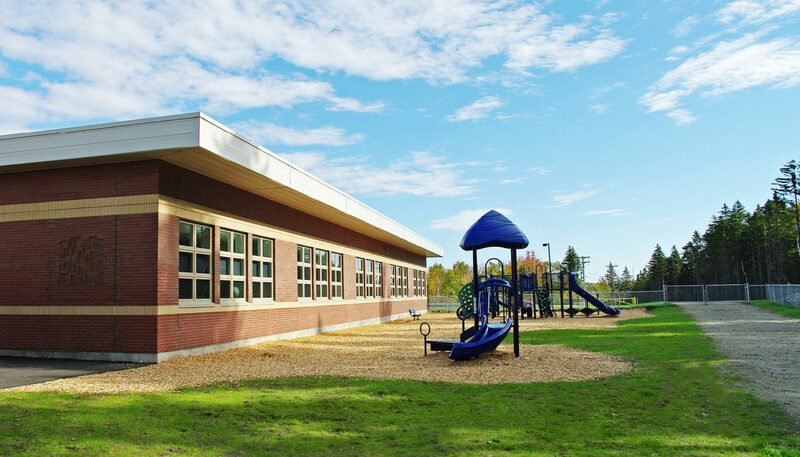 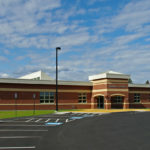 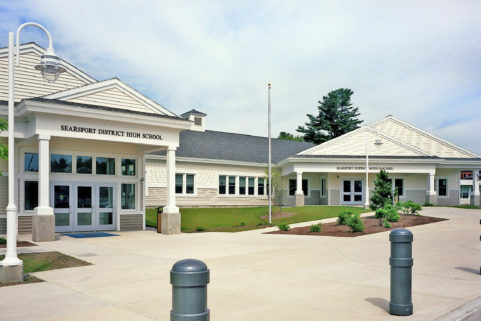 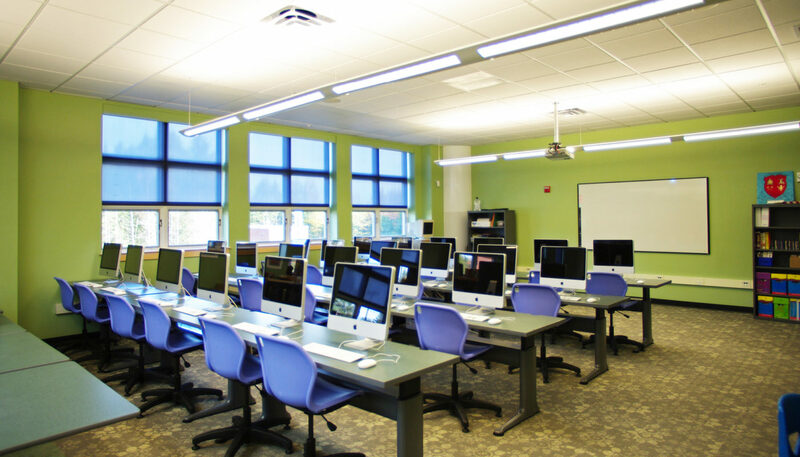 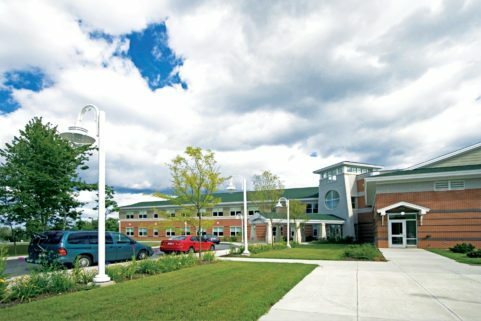 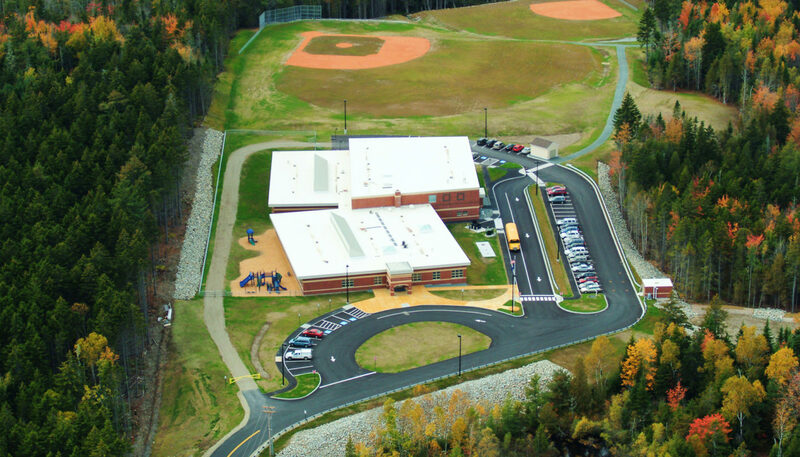 The unexpected closure of a school building due to the discovery of air quality issues prompted the people of Winter Harbor and Gouldsboro to seek improved solutions for educating their students and WBRC was retained to perform educational planning and site master planning services. 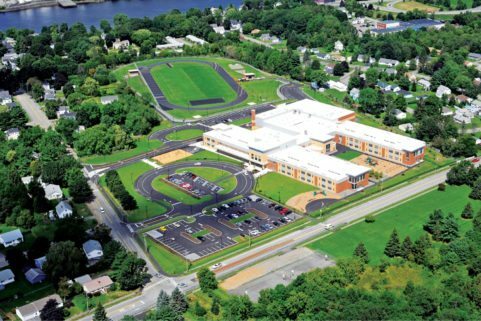 The chosen site required careful planning due to a number of vernal pools on the way to the upland location where the school is built. 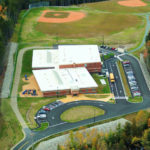 The site accommodates a baseball field, softball field, multi-purpose filed, and several playgrounds. 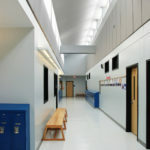 Inside, flexible spaces were needed to accommodate the programming needs on this 100% state funded project. 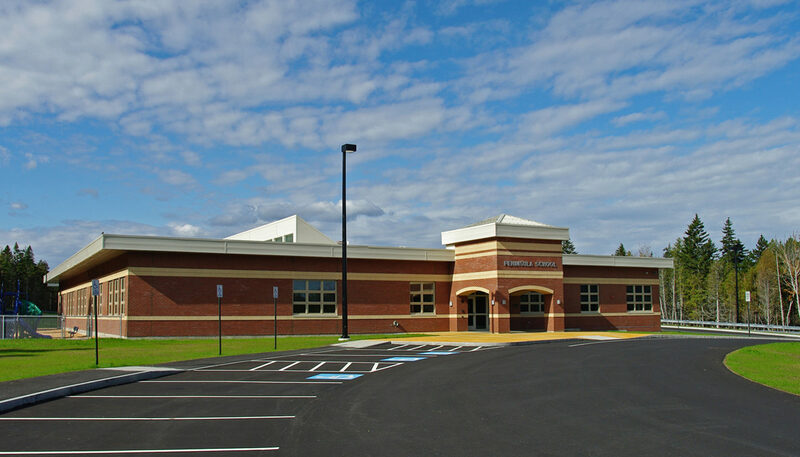 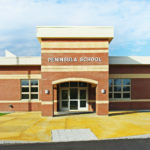 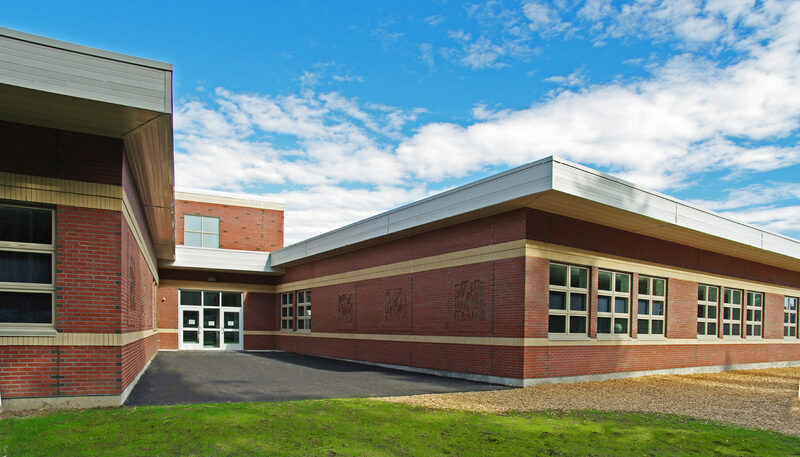 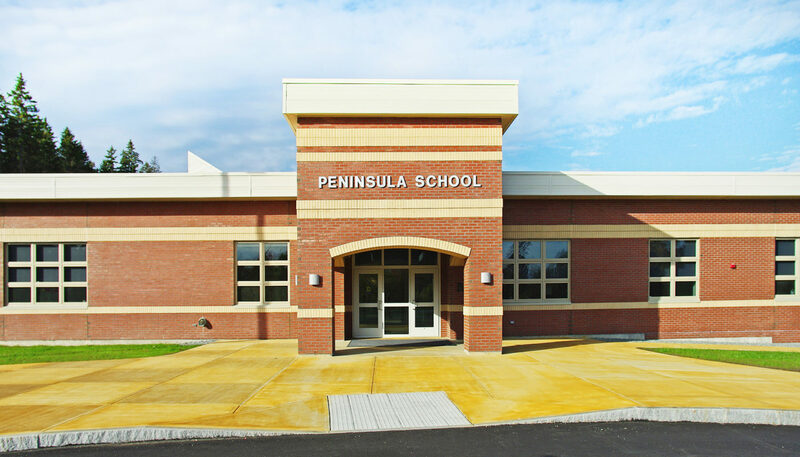 The new energy-efficient Peninsula School, which serves 180 students, provides a vital community connection within the village center of Prospect Harbor, serving the communities of Gouldsboro, Winter Harbor, Birch Harbor and Corea.